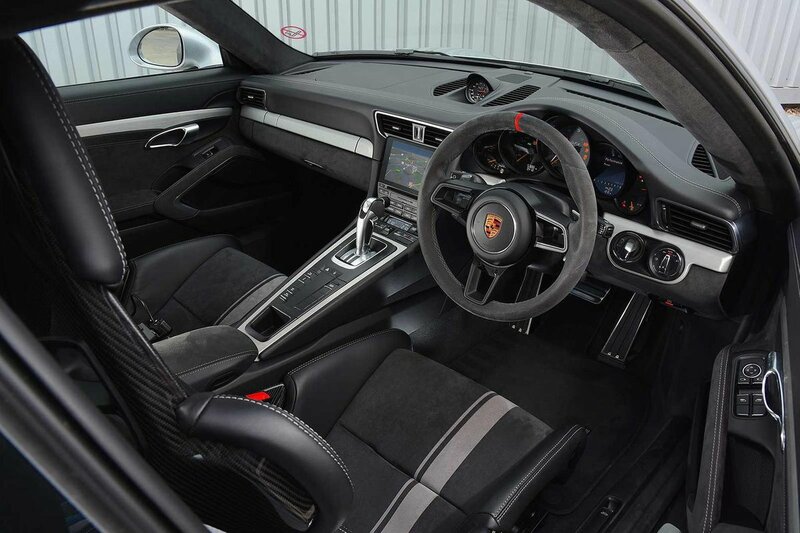 Porsche 911 GT3 Interior, Sat Nav, Dashboard | What Car? 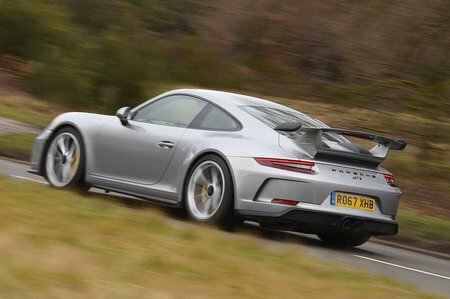 Like all 911s, the GT3’s driving position is nigh on perfect and right up there with the excellent McLaren 540C’s. There’s so much reach and height adjustment to the steering wheel that 99% of the population will find it spot-on. This being a lightweight supercar, it’s worth keeping the weight down; while the standard seats have part-electric adjustment and optional 18-way electrically adjustable seats are available, the simple manually adjustable sports bucket seats or lightweight bucket seats look the part and also feel spot-on, hugging you welcomingly like an overenthusiastic aunt. The dash has an unusually high number of buttons by modern standards. This might look confusing at first glance, but actually they’re easy to understand with a little familiarisation. It’s also well built, as you’d expect for the money. 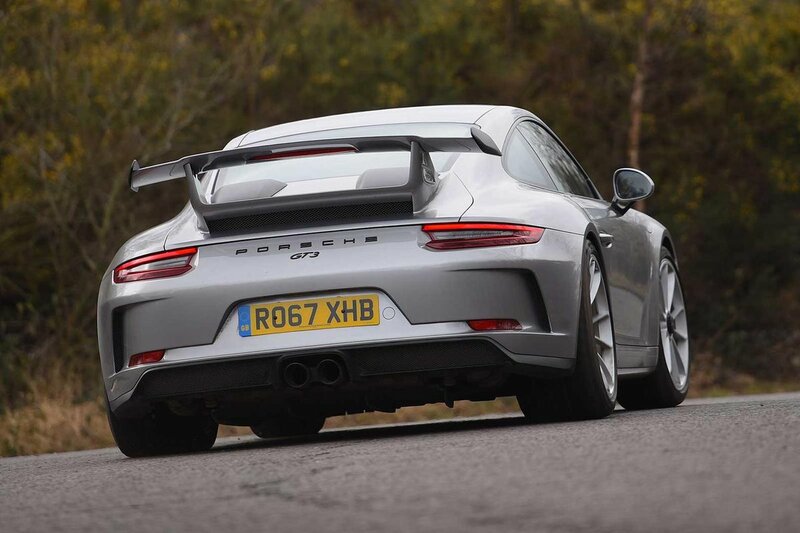 All the controls and switches have a solid feel and, while the 911 GT3’s materials can seem more functional than plush, those lashings of Alcantara relay the impression of a sports car with a focused intent. If you want, you can make it swankier by personalising it in a multitude of ways, but for a price. Visibility is pretty good compared with those mid-engined supercars that tend to hide what’s behind you, namely the Audi R8, Lamborghini Huracán and Ferrari 488. The horizontal line of the big rear wing across the rear screen is a slight blot, but this can be deleted if you wish. Whether you choose to keep it or not, it’s well worth adding the optional rear-view camera, just to avoid an embarrassing bump. As standard, you get a 7.0in infotainment touchscreen. This offers lots of features such as onboard wi-fi, Google Maps and Apple CarPlay (although there’s no mirroring option for Android phones). As you’d expect on a car of this value, sat-nav and Bluetooth are included; but, oddly, a DAB radio is optional. It’s not as easy to use as the R8’s infotainment system, but it’s much better than the Lamborghini one. Music lovers can upgrade the standard stereo to a Bose surround-sound system but, seriously, with that engine to listen to, we wouldn’t bother. In fact, for the track-focused among you looking to keep the weight really low, you can take out the infotainment system completely. Kindly, Porsche won’t even charge you for the privilege of not supplying it.